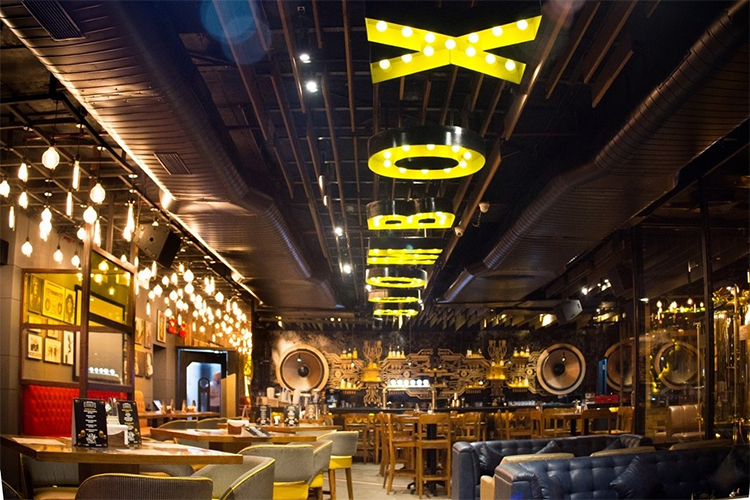 Boombox Brewstreet is one of the most chill venue at Sector 29 gurgaon. Located with an ease of approach and a parking well suited to the spot and occasion this makes for an amazing match viewing experience. The music boasts of the right string suting the occasion. As far as FIFA matches are concerned this place is worth the beer ! The bar has good food and alcohol.